Real estate directories are a flourishing business. If you are a broker or a real estate agent, you can too create a real estate directory website and start making money online by providing people a platform to advertise their properties on your website. However, there are two terms that you’ll come across when heading for an online real estate business. They are MLS and IDX. These both terms are related to the online real estate listing and display of your real estate properties. What is the MLS (Multi Listing Service)? The first thing you should know is that MLS is a huge database of real estate listings. MLS stands for multi listings service or multiple listings service. MLS is in fact a large collection of different regional databases. It is a great way to get your property listed so as to make it available for a large range of visitors. Agents can upload as well as download the documents on MLS. IDX stands for internet data exchange, but it’s meaning is quite wide. It can be defined as some set of rules or policies as well as the system to display the MLS properties on your website. What IDX lets you do is to display the listings from MLS databases to be displayed publicly. This helps the agent to find more exposure for their property listings and helps the users to find out their ideal home/property. MLS is a closed system where only the registered brokers or agents can update the listings and access it. The casual users trying to find homes, weren’t able to access these listings. This limited the scope of the real estate data stored in an MLS to be found by a relevant user. To solve this problem, we have IDX . It is a system that lets an MLS agent share a part of listings available on the MLS database to be shared on an agents website. When the listings of MLS are shared on a real estate website by an agent or realtor, it can get attention on a wider scope. The visitors can access and find the listings of their choice and the agents can efficiently sell a wide range of properties. As mentioned earlier – how you can interact with the IDX system is guarded by some rules and policies. There are some rules that the brokers of IDX community should follow while uploading their listings and sharing the IDX properties on their website. For instance – A registered broker cannot upload a property listing to IDX without the concent of the property owner. Only the properties of the users who don’t mind their properties to be a part of the IDX system for advertising it, can be listed. 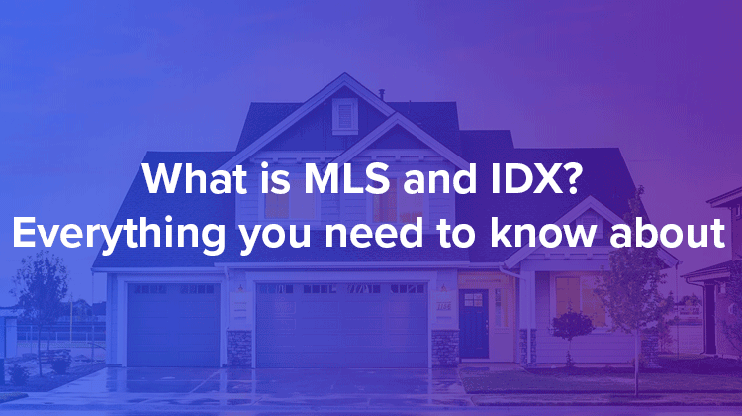 The next thing not allowed by MLS is to share the listings you get through IDX with unauthorized persons, the third parties who aren’t a part of IDX. 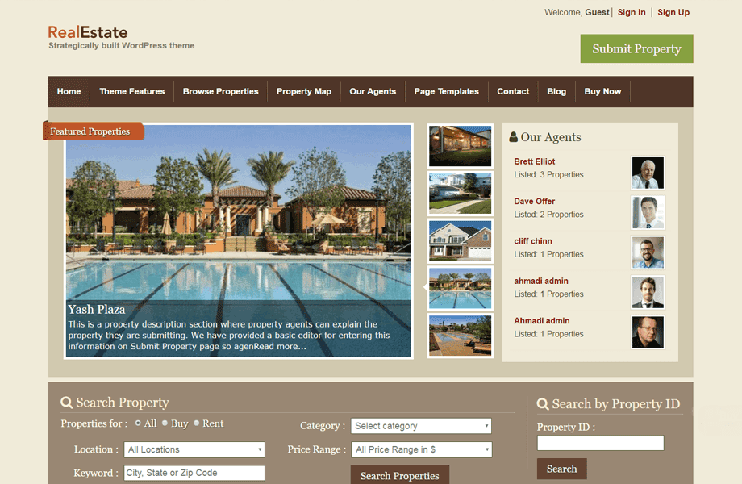 IDS MLS compatibility is available in this Best Real Estate theme for WordPress. Use it for your Real Estate website project. What is the advantage of a website with IDX compatibility? Basically, a website with IDX compatibility means more property listings. It increases the amount of usable content on your website. More listings increases the possibility for the visitors to find the best property for themselves. And that ultimately increases the usability and credibility of your website. The advantages of integrating IDX listings in your website are quite clear. More listings. More deals. More happy users!! WordPress is a promising platform for creating online directories. If you want to start with your own real estate directory, WordPress can be your best option. How? Read on to find out. However, there are plenty other options that you can use to create your Real Estate Agent Websites With IDX Home Search. You can choose the one that looks perfect to you! What is dsIDXpress plugin for WordPress? dsIDXPress is a WordPress plugin to let you embed MLS listings on your blog posts or pages using IDX. These real estate listings can be embedded into your WordPress. The plugin is extremely easy to use. You can use the shortcodes to embed the live MLS listings into your website. The dsIDXPress plugin is available for free download from here. There’s a pro version with advanced features to create an enhanced website using the dsIDXPress plugin. Did you know? IDS MLS compatibility is available in this Best Real Estate theme for WordPress. Use it for your Real Estate website project. Outstanding post about mls idx. Keep it up good work.